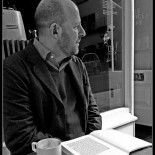 My current research revolves around four interconnected areas: how technologies are affecting the ways in which we are governed; administrative justice, including judicial review; tiny legal systems; and the constitutional status and role of the judiciary. I am interested in how technology is affecting how we are governed. In an essay, I explore the implications of automated decision-making on the ways Parliament confers legal power and holds public administrators to account. From 2014 to 2016, I was co-investigator on a project funded by the Nuffield Foundation to establish the UK Administrative Justice Institute (UKAJI); read more about it here. In my role as a Law Commissioner in Jersey, I carried out two reform projects on grievance redress mechanisms against public bodies on the island. A wide-ranging report looked at the Improving Administrative Redress in Jersey (October 2017) and the other on Designing a Public Services Ombudsman for Jersey (November 2018). In December 2012, with Varda Bondy of the Public Law Project, I completed on a project (funded by the Nuffield Foundation) about the ways in which redress mechanisms are designed. The project report is here. I presented a paper on aspects of our project in October 2011 at an International Conference on Access to Non-Judicial Justice held in Hong Kong and a version of the paper appeared in (2012) 20 Asia Pacific Law Review 17-44; a draft is available here. 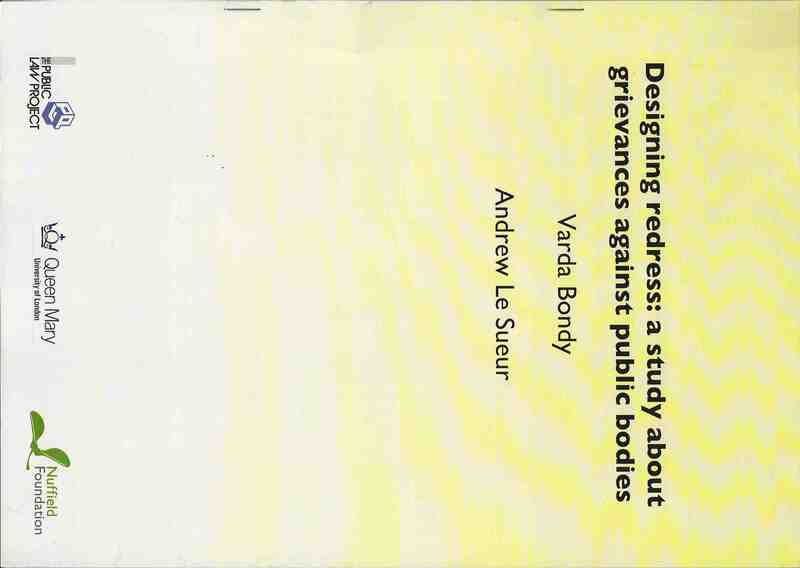 Designing redress systems for grievances against public bodies ought, it is argued, to be viewed as a discrete and constitutionally significant activity. However, because design is carried out by a wide variety of bodies, in different contexts, and for different reasons, it has been insufficiently recognized. This paper attempts to map out redress design across a whole administrative justice landscape (that of England). Recognition of design as a distinct activity may create opportunities for better joined-up thinking about how remedies relate to each other and help ensure that redress design is informed by basic principles of constitutional propriety and administrative justice. The de Smith project 1995-2017: Working with Harry Woolf and Jeffrey Jowell for over 22 years, I was a co-author of “de Smith”. This book was begun by Stanley de Smith in the 1950s as a doctoral thesis and then published in 1959. de Smith’s book was the first in the United Kingdom to describe and analyse this field of law with coherence. It quickly established a groundbreaking reputation here and in the Commonwealth. Professor de Smith produced two further editions in 1968 and 1973. After his untimely death, Professor John M. Evans (Mr Justice Evans of the Federal Court of Canada) edited the 4th edition in 1980. The 5th edition of the work, which I worked on as assistant editor, was published in 1995 and consisted of a substantial restructuring and rewriting of the 1980 edition. A supplement, updating the 1995 text, was published in 1998. An abridged and updated version of the work, intended more as a student text, was published in 1999 under the title Principles of Judicial Review. 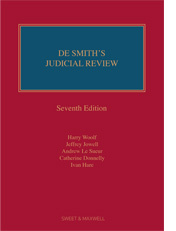 The 6th edition, entitled de Smith’s Judicial Review was published at the end of 2007, with a Supplement in 2009. The 7th edition was published in 2013, with supplements in 2016 and 2017. With a heavy heart, I withdrew from the project in 2018 due to other commitments. Does size matter? I am exploring different aspects of the experiences of very small legal systems (generally, those serving populations of less than 100,000). European tiny jurisdictions include Andorra, Gibraltar, Guernsey, Isle of Man, Jersey, Liechstentien, Monaco and San Marino. For several years I have been interested in constitutional aspects of the courts and judicial system. I have an essay in the 8th edition of The Changing Constitution (2015) on the “national justice infrastructure” (a working draft is on SSRN). I am interested in a comparative project examining how lawyers as individual professionals and through non-state organisations (such as bar councils and law societies) relate to the constitutional principle of judicial independence. This builds on earlier work about the ways in which the judiciary may be accountable. I will shortly be starting work on a linked project, investigating what parliamentarians say and so about public law dispute resolution.